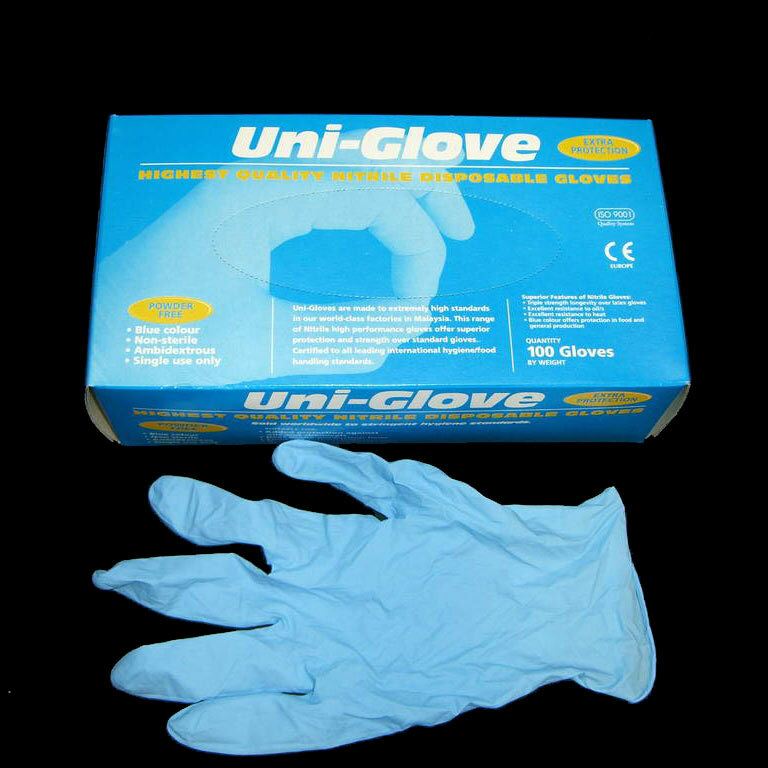 A box of 100 blue nitrile disposable gloves. Offers excellent protection and used in a wide variety of hygiene, industrial, first aid and food production situations. Certified to all leading international hygiene/food handling standards. Non-sterile. For single use only.